Carolina Color Corporation provides customers with innovative solutions for masterbatch delivery through a new distribution agreement with LIAD Weighing and Control Systems in the U.S.A.
To provide additional color delivery support for its customers, the company recently signed a distribution and service agreement with LIAD Weighing and Control Systems in the United States. The partnership was a natural fit as both companies recognized that marrying the industry’s most advanced color concentrate technology with the most precise dosing equipment gives the plastic processing community the ability to better control their coloring costs. Over the past year, LIAD and Carolina Color have both generated a lot of buzz within the industry by unleashing ground breaking new products. Carolina Color has introduced G3, a revolutionary line of highly-loaded custom masterbatch, while LIAD has taken precision in metering to a new level with gravimetric feeders capable of dosing a single pellet. According to Jeff Smink, president of Carolina Color, the new partnership between the two companies is a win-win, with LIAD’s new technology of precise dosing and user friendly controls coupled with G3. 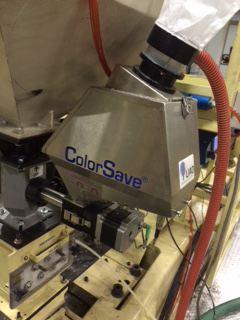 LIAD blenders, feeders, and quality control technologies are helping plastics manufacturers improve their efficiency. 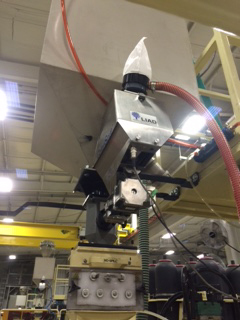 Used in factories across the globe, LIAD innovation is key to growth in the plastics industry. Carolina Color’s G2 and G3 product lines have proven performance in diverse applications, including packaging, industrial, non-automotive transportation, and much more. Convertors are impressed by this game-changing technology. Whether it is injection, extrusion, rotational, structural foam, blow, sheet, pipe, or profile molding, G2 and G3 consistently hit the mark.